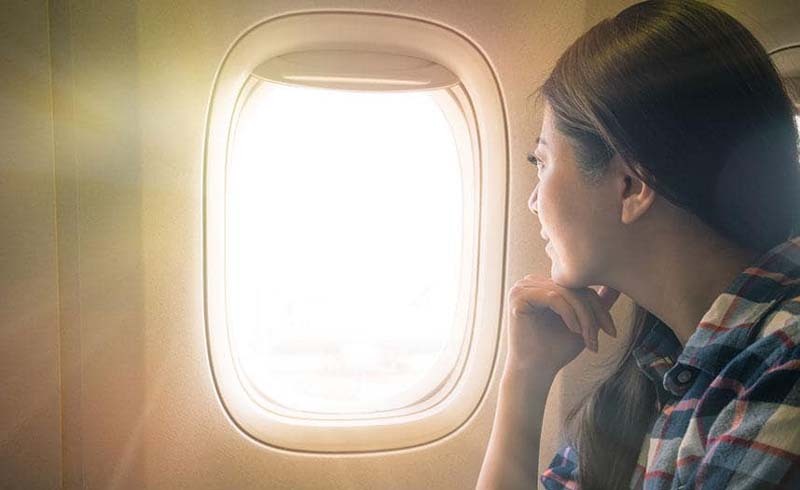 For many, scoring a window seat on an airplane is cause for celebration. You not only have a built-in headrest and won’t get hit by the food cart, but you also get the best views. Those pluses, however, come with a serious downside: sun exposure. 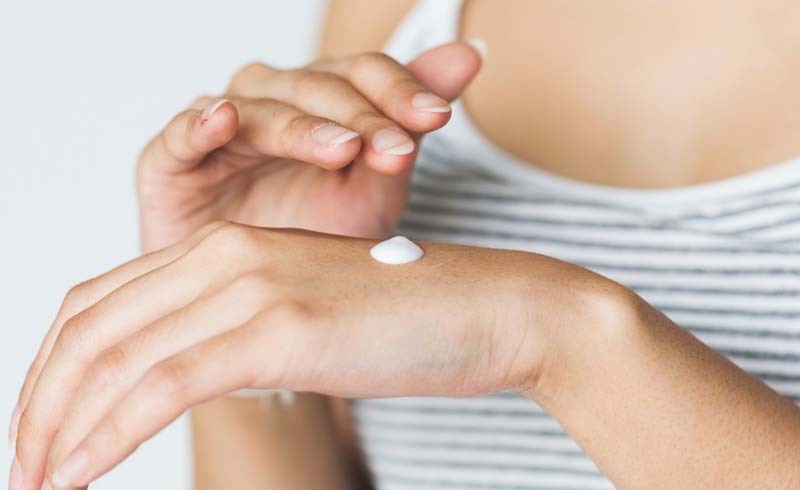 While travelers are warned incessantly about sunburn risks during beach vacations and even ski getaways, taking protective skincare measures at 30,000 feet is not something typically discussed. Yet you could have a greater risk for sun damage while flying than when you’re on the ground. Why is that important? Well, though you won’t necessarily get a sunburn since that’s caused primarily by UVB radiation, UVA rays penetrate the deeper layers of skin and are known to cause photoaging (sun spots and wrinkling). And since you’re closer to the ozone layer — almost six miles closer to be more exact — the sun’s rays are simply more powerful. Plus, extended exposure to UVA rays can contribute to the development of skin cancers. So then, is a 10-hour flight equivalent to 10 hours on the beach? Not exactly. That’s why it’s not surprising that those at the highest risk are pilots. The New York Times reported they have markedly higher rates of skin cancer, likely due to the prolonged exposure in front of the plane’s windshield. Though passengers are sitting next to much smaller windows for much shorter periods of time, they should still take precautions. If you jetset often, other protective measures you should take include sitting in the aisle seat to minimize atmospheric UVA exposure and, if in the window seat, closing the shade, especially while flying at high altitudes. You could also opt for evening flights. “The most intense UV exposure and the highest risk of sun damage occurs between the hours of 10am and 4pm,” Mizrahi-Levi said. Just be wary of messing with your circadian rhythm too much, because that could lead to other health issues. If you’re outdoors, you already know it’s important to wear sunscreen. But also consider altitude if you’re planning a hiking or skiing trip. The CDC also warns travelers about sun exposure at places close to the equator and during summer months. And the reflection from the snow, sand and water increases exposure to both UVB as well as UVA rays, and therefore ups your risk. Their top tips? Stay in the shade during that peak period Mizrahi-Levi mentioned; wear clothing that covers as much of your skin as possible; use a hat to shade the head, face, neck and ears; wear sunglasses that block both UVA and UVB rays; and make sure you use up-to-date sunscreen (toss it if it’s over two years old) to ensure you’re getting maximum protection.